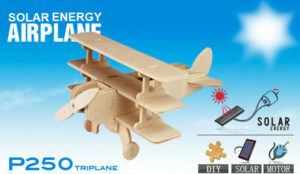 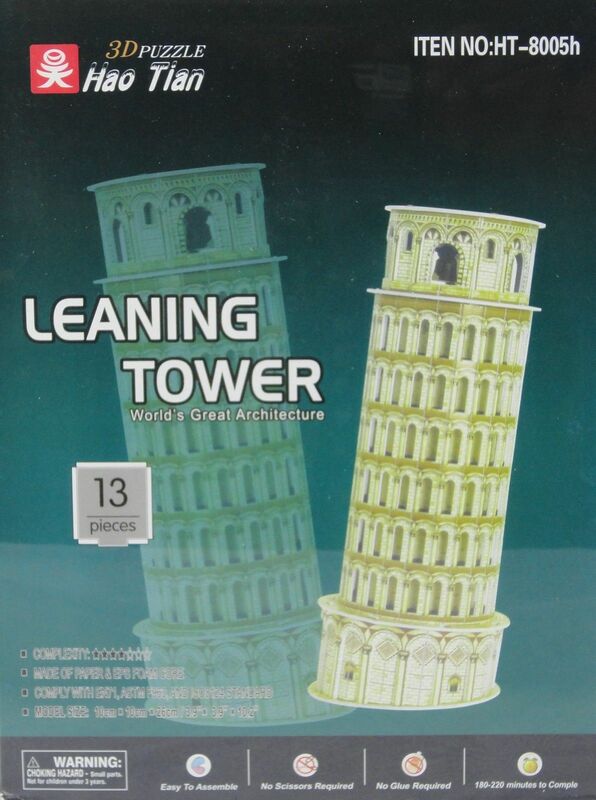 LEANING TOWER PISA 3D model puzzle toy 13 piece worlds architecture Here for sale is the leaning tower of pisa as a 3D model jigsaw puzzle These types of 3D puzzles are fun and challenging to build, and leave you with an attractive scale model that can be displayed in your home or office.A fun and challenging 3D puzzle of The Leaning Tower of Pisa in ItalyDifficulty Level: 4 stars ;Number of Pieces: 13Construction time: 60 to 100 minutesHeight when completed: 26cmProduct Specifications:Material Type: EPS Foam BoardBox Dimensions: 30 x 22 x 1 cm Model size: 10cm x 10cm x 26cmItem Model Number: HT-8005hItem Weight: 0.300 Kg The Leaning Tower of Pisa (Italian: Torre pendente di Pisa) or simply the Tower of Pisa (Torre di Pisa) is the campanile, or freestanding bell tower, of the cathedral of the Italian city of Pisa, known worldwide for its unintended tilt to one side. 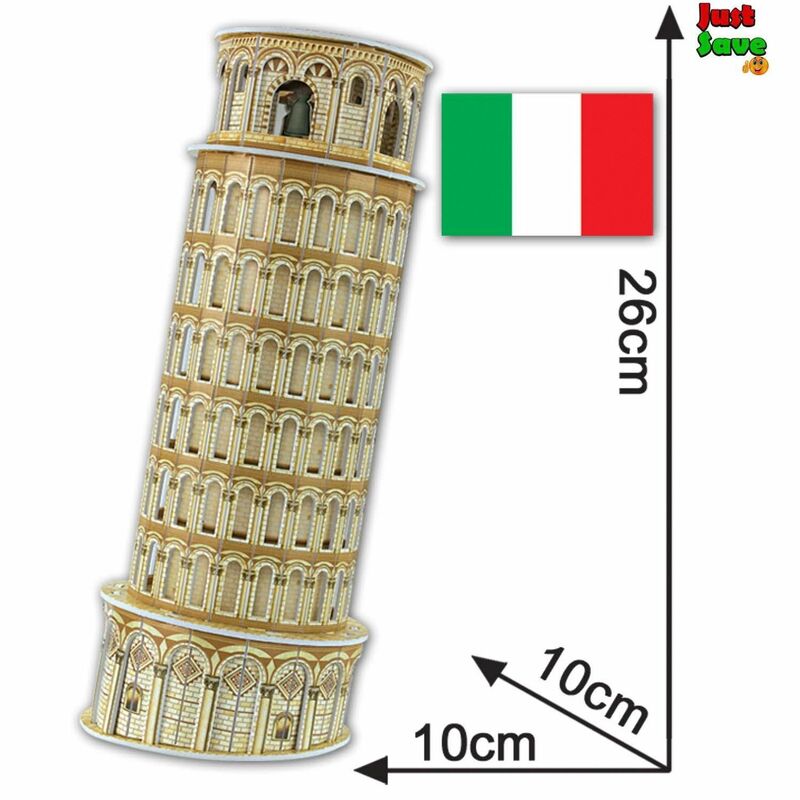 It is situated behind the Cathedral and is the third oldest structure in Pisa’s Cathedral Square (Piazza del Duomo) after the Cathedral and the Baptistry. 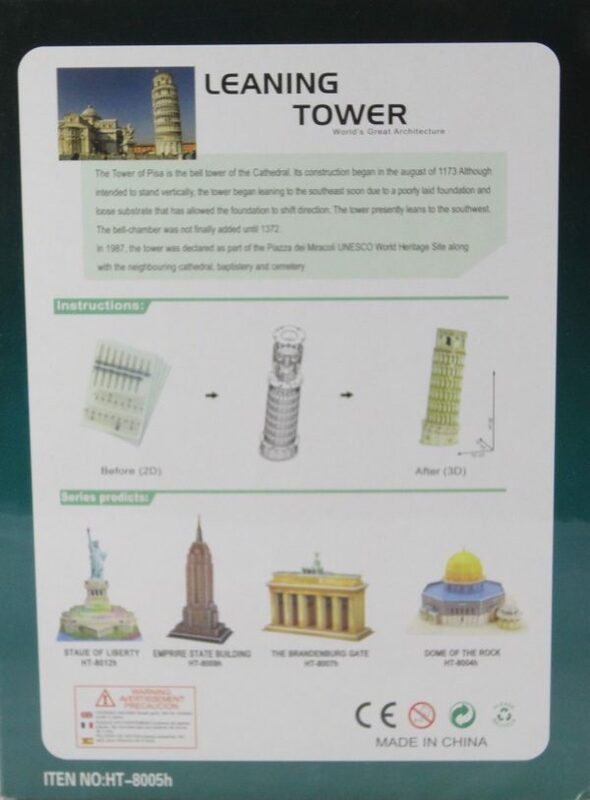 The tower’s tilt began during construction, caused by an inadequate foundation on ground too soft on one side to properly support the structure’s weight. The tilt increased in the decades before the structure was completed, and gradually increased until the structure was stabilized (and the tilt partially corrected) by efforts in the late 20th and early 21st centuries.